The Roseland Ballroom on West 52nd Street is no more. In its place rises ARO, the tower from developer Algin Management and design firm CetraRuddy that is bringing a touch of modern style to the otherwise architecturally conservative neighborhood. 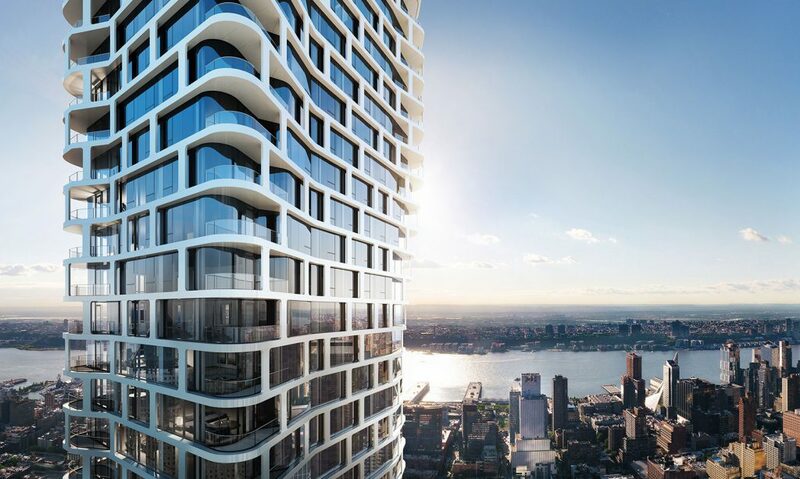 ARO, which will be home to 426 Midtown West no-fee apartments, has a curvy facade complete with private terraces belling out from the corners and bands of composite-metal wrapping around each floor. And the Roseland Ballroom may be gone, but it won’t be forgotten, thanks to a sculpture in the ARO lobby by artist James Greco that will incorporate some of the letters from the Ballroom’s iconic marquee.